In 1949 architect Nils Strinning (1917-2006) designed the first string shelf. With his flexible, minimalistic shelving system, he laid the foundations of what later became known as Scandinavian design. 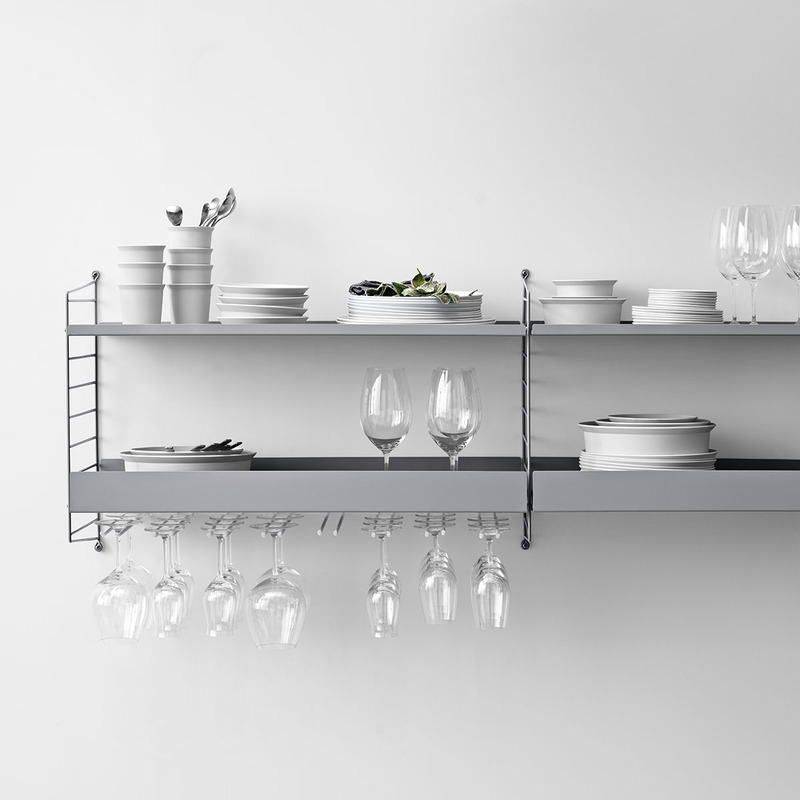 Today, with the help of designers Anna Von Schewen and Bjšrn Dahlstršm, and as a complement to String, they have designed a range of new metal shelves in different depths, lengths and angles to suit your home. This new range of metal shelves work perfectly with Strings latest String + range comprising a number of new accessories to complement your storage system needs. Not sure where to start? BUILD YOUR OWN STRING HERE, save your design and contact our showrooms to complete the order.